The Third South Beach Jazz Festival will begin on Friday, January 4 for a weekend of classic, Latin, and New Orleans-style acts that will attract jazz fans to South Beach hotels, theaters, and restaurant seats. A jazz festival unlike any other, the South Beach Jazz Festival will take pride in featuring talented musicians with disabilities. Most acts performing under the festival’s auspices will showcase the artistry of at least one person with a disability. Over that weekend, open-air performances by local ensembles will draw Lincoln Road promenaders to linger, listen and groove. And even more significantly, the festival musicians will raise public awareness of persons who have disabilities. While the music forges bonds between listeners and performers, the sheer talent of the artists will promote the festival’s primary goal, enabling them to be defined by ability rather than disability. It will foster the access they need to participate fully in society as they help beautify and educate our community. In coming years, as a recognized institution, the South Beach Jazz Festival will expand throughout the city and strengthen Miami’s reputation for cultural innovation and inclusion. Please join us for your support and celebration of yet another world-class event brought to you by Power Access Inc., a 501(c)3 non-profit organization. Sixteen years ago, a rare disease rendered David New deaf, blind and paralyzed from the waist down. Rejecting his doctors’ terminal diagnosis, defying all odds, David learned to walk again and gradually regained his hearing, though he did not regain his sight. Multi-talented, he has since become a steadfast advocate for people with disabilities, creates works of art in glass, founded several companies and non-profits, and has embarked on a new venture, the South Beach Jazz Festival. David was born and raised in Philadelphia and began his university studies at the Mason Gross School of the Arts at Rutgers University. He continued his education at the Tyler School of Art, Temple University, the University of the Arts in Philadelphia, the Fashion Institute of Technology in New York City and the Art Institute of Fort Lauderdale. An artist at heart, David worked in his family’s furniture business while creating his own interior design firm, R. David New Interior Design. He relocated to South Florida in 2002 and continued pursuing his passion for art and design. David works tirelessly to break down barriers and to educate people about living and working with people with disabilities. He is currently chairman of the Miami Beach Disability Access Committee and president and chief promoter of Power Access Inc. and Ability Explosion®. 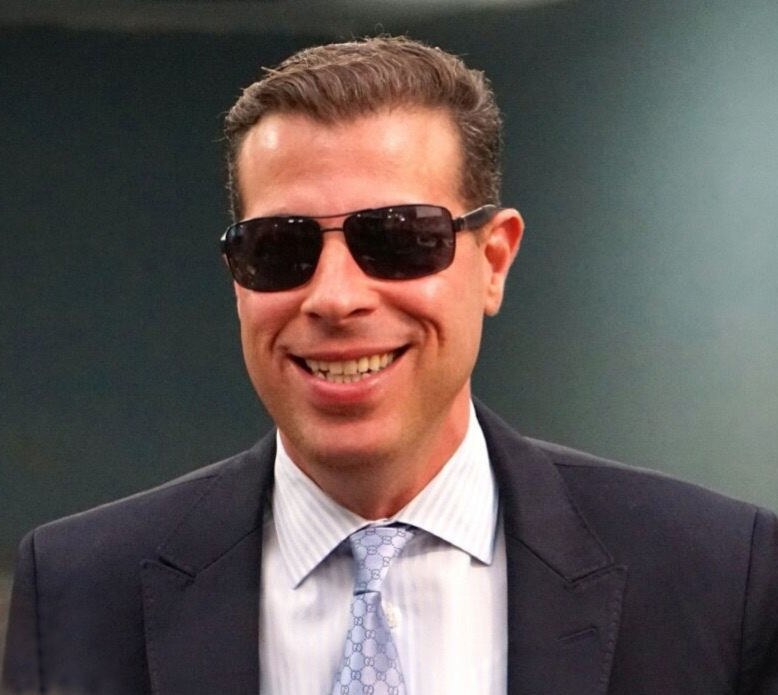 He also serves as president of the Miami Beach Council of the Blind, an affiliate of the Florida Council and the American Council of the Blind. In 2012, David took over Access Now Inc. which is an advocacy organization for enforcement of the Americans with Disabilities Act. “As a visual artist my whole life, I was missing a component. I had to rethink everything. I got more involved in the community. I started new organizations and non-profits,” adds David. Through Power Access and Access Now, his two non-profit organizations, David provides programs and produces experiential events centered on building awareness of the challenges faced by people with disabilities, including Dining in the Dark, Disability Awareness Day and the South Beach Jazz Festival. David recently reignited his lifelong passion for creating art when he learned about a new 3-D laser technology for creating laser-edged glass sculptures, a perfect medium for his visionary mind and imagination. He was introduced to the machinery, serendipitously located in Miami – the only one of its kind in the country. He designs the concept, the imagery, dimensions, and presentations, as well as the polished stainless steel bases and glass specifications. David’s work has been exhibited in art galleries, and he has plans to open a gallery in Miami Beach.